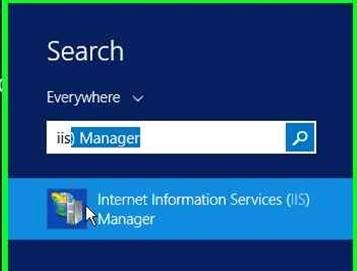 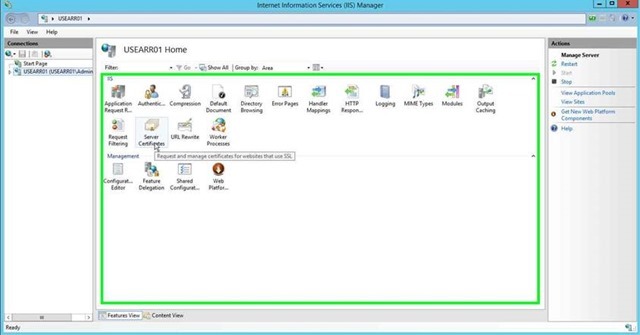 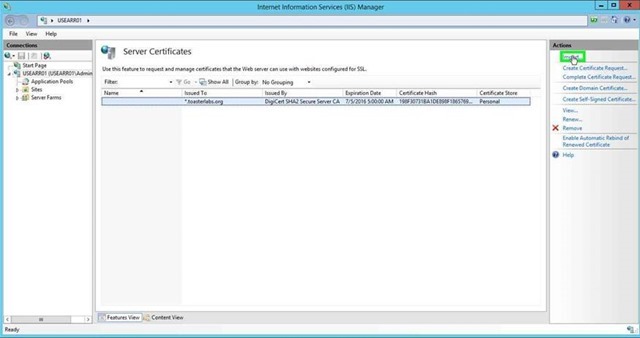 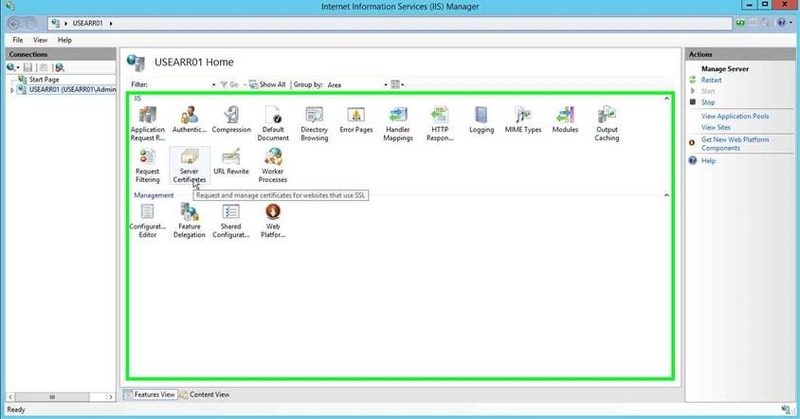 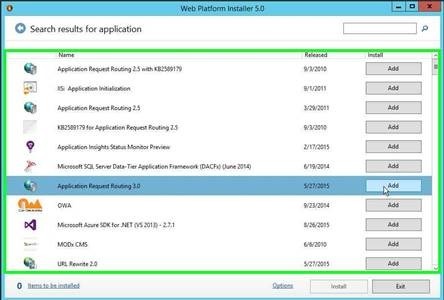 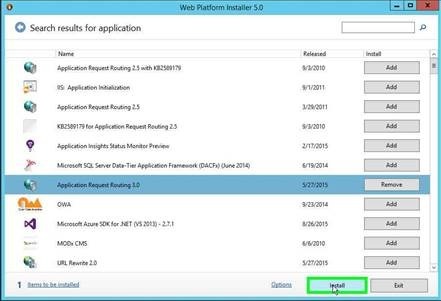 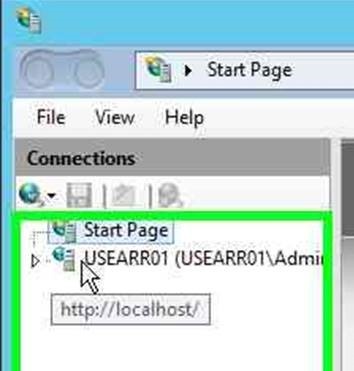 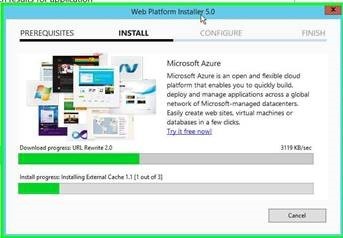 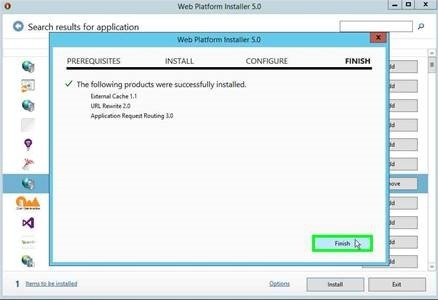 Step 2: Install the “web server (IIS)” component. 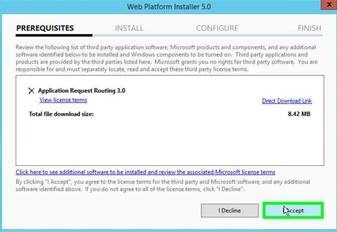 Accept all defaults. 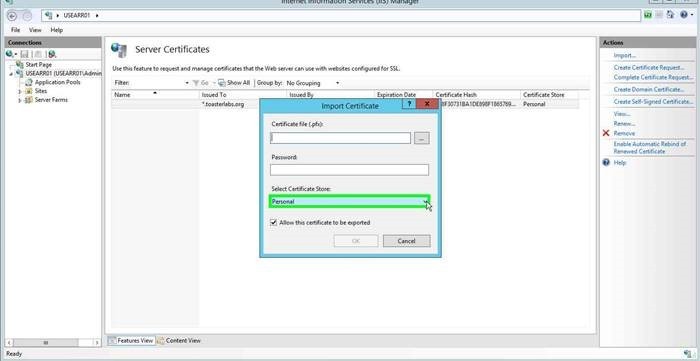 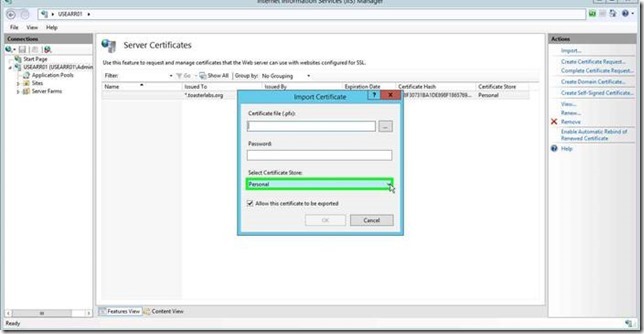 If the certificate is not listed, use the “Import…” link in the action pane to import the correct certificate.